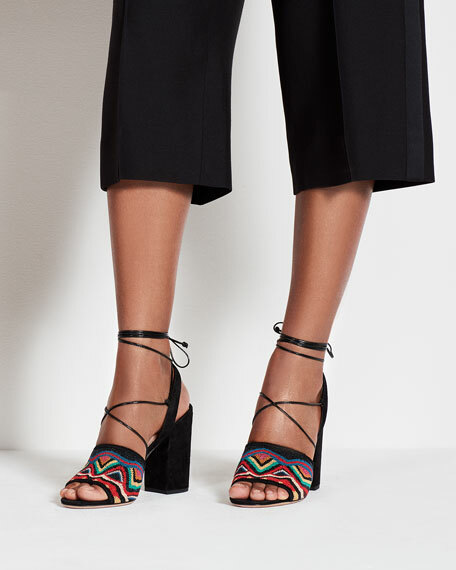 Valentino Garavani suede sandal with leather trim. 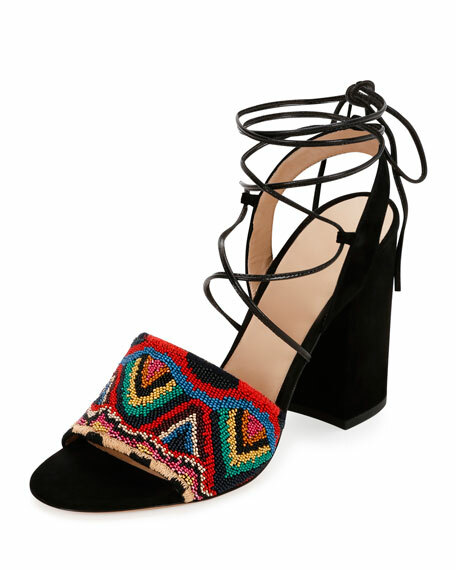 Beaded wide strap bands open toe. 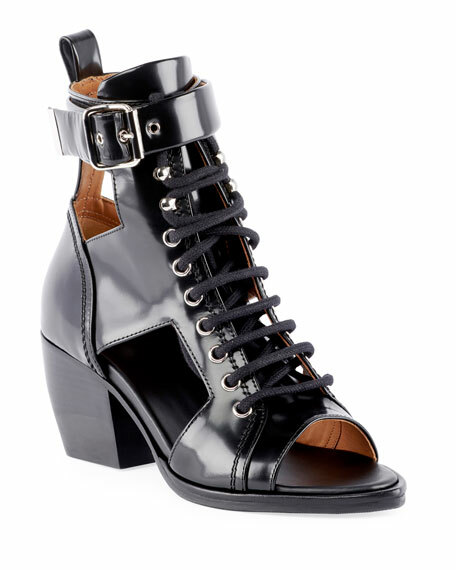 Lace-up front ties around ankle. "Native" is made in Italy. For in-store inquiries, use sku #1935205. 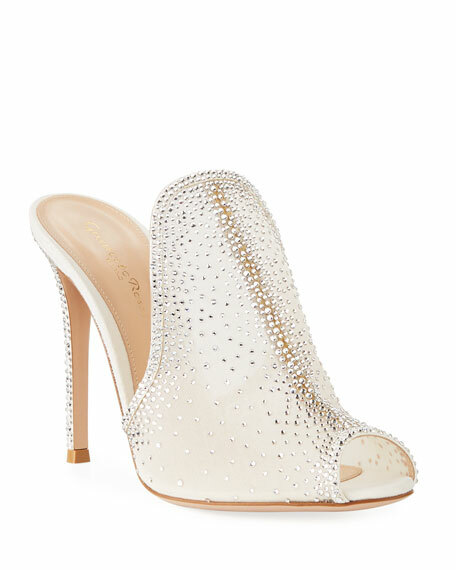 Gianvito Rossi mule in strass covered lace and suede. 4.3" covered stiletto heel. Peep toe. High notched vamp. Slide style. Leather lining and sole. "Organza" is made in Italy.